NATO's North African terror tidal wave predictably sweeps into Kenya. September 23, 2013 (Tony Cartalucci) - At face value, and how the Western media is attempting to portray it, the Westgate Mall siege in Kenya's capital city of Nairobi appears to be yet another senseless terrorist attack by the "religious fanatics" of Al Qaeda's Somalia franchise, Al Shabaab. Already, both Kenyan and Western politicians, as well as editorials across the Western media, are attempting to use the attack as a pretext to launch a military campaign against neighboring Somalia, while fueling anti-Muslim sentiment across profoundly ignorant audiences in the West. As on 9/11, terrorists are waging a war on our modern, democratic way of life. Today, we are all Kenyans. Just as important: The fight is not just a Kenyan, or African, fight. Somalia could be the new Afghanistan. A lawless, fundamentalist Somalia could incubate a Somali Osama bin Laden and new attacks on the USA, just as Afghanistan protected and nurtured bin Laden and al-Qaeda. After the Nairobi attack, the message should be "We Are All Kenyans." Not just in our sympathy. But also in going all out to prevent another terrorist attack. Leaving Somalia to al-Shabab is not an option. Kenya has confirmed that Western allies have joined its war on Islamic militants al-Shabaab despite denials from the US and France that they are involved in fighting in southern Somalia. Foreign military forces have carried out air strikes and a naval bombardment close to the militant stronghold of Kismayo, a Kenyan army spokesman said yesterday. “There are certainly other actors in this theatre carrying out other attacks,” said Kenya's Major Emmanuel Chirchir. The Kenyan invasion has already caused a major rift between Somalia's interim prime minister and president, who yesterday condemned the presence of foreign troops inside his country. While the US attempted to deny any role in the invasion, it has admittedly carried out periodic airstrikes and drone strikes across Somalia, as reported by the BBC's 2012 article, "Somalia air strike 'kills foreign al-Shabab militants':"
The US military, which has a base in neighbouring Djibouti, has previously carried out drone strikes in Somalia. It has also launched air strikes against alleged al-Qaeda militants in the country. The United States has quietly poured weapons and military advisers into Ethiopia, whose recent invasion of Somalia opened a new front in the Bush administration's war on terrorism. Kenya's invasion of Somalia, hailed by the West and the UN Security Council, was meant to deliver a knockout blow to the militant Islamist group al-Shabaab. Instead it has pulled Somalia's regional rival Ethiopia back into the country, stirred up the warlords and rekindled popular support for fundamentalists whose willingness to let Somalis starve rather than receive foreign aid had left them widely hated. It was in fact this US-backed military invasion that served as the alleged motivation of the Al Shabaab terrorists who attacked Kenya's Westgate Mall this week. 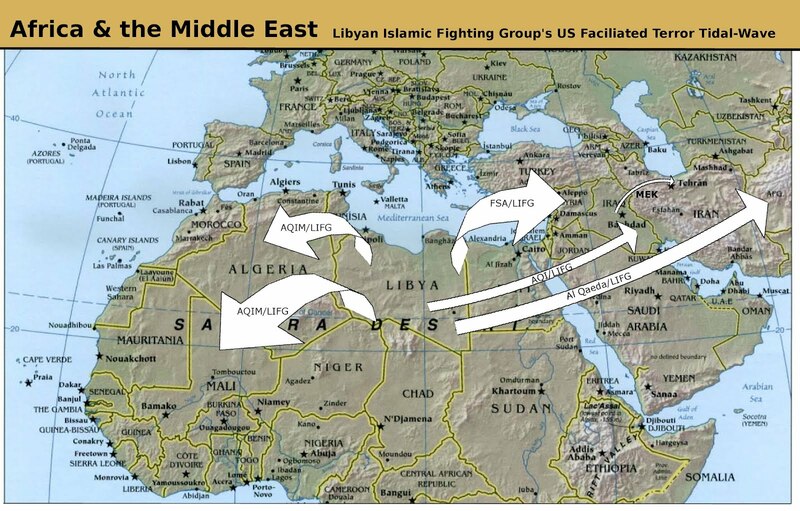 Beginning in 2011, geopolitical analysts warned that US, British and French intervention in Libya would create a terror emirate that would unleash a tidal wave of militant destabilization across Northern Africa and beyond. From Mali to Kenya, and as far as Syria, violence directly linked to the militants and the aid and weapons they received from the West in Libya, have now been felt. Image: (click image to enlarge) Truly NATO's intervention in Libya has been a resounding success. Not only has the West managed to revive the terrorist LIFG organization Qaddafi had been fighting successfully for decades, but now "international institutions" have a casus belli spreading across the whole of North Africa, into the Middle East and beyond as NATO weapons and Western cash enable LIFG fighters to battle as far as Syria in the east and Mali to the west. The wave of terror unleashed and the predictable "pretexts" it will provide, has now swept into Kenya. "Belhaj," referring to Hakim Abdul Belhaj, leader of LIFG in Libya, led with NATO support, arms, funding, and diplomatic recognition, the overthrowing of Muammar Qaddafi and has now plunged the nation into racist genocidal infighting. This intervention has also seen the rebellion's epicenter of Benghazi peeling off from Tripolias a semi-autonomous "Terror-Emirate." Belhaj's latest campaign has shifted to Syria where he was admittedly on the Turkish-Syrian border pledging weapons, money, and fighters to the so-called "Free Syrian Army," again, under the auspices of NATO support. The torrent of militants and weapons flowing from Libya into Syria to support Western-backed regime change against the Syrian government has been extensively documented over the last 2+ years. Three of Africa's largest militant Islamist groups are trying to co-ordinate their efforts, the head of the US Africa Command has warned. Gen Carter Ham said in particular North African al-Qaeda in the Islamic Maghreb (AQIM) was probably sharing explosives and funds with Nigeria's Boko Haram. Speaking in Washington, he said the separatist movement in northern Mali had provided AQIM with a "safe haven". Somalia's al-Shabab was the other "most dangerous" group, he said. This cooperation between AQIM, Boko Haram, and Al Shabaab has been clearly bolstered by the immense influx of NATO-provided cash and weapons flowing into Libya first to overthrow the Libyan government, then to be shipped to Syria to overthrow the government there. NATO's assistance in expanding Al Qaeda's operational capacity in North Africa can only be helping terrorists like those behind the Kenya Westgate Mall siege carry out cross-border operations of this scale. 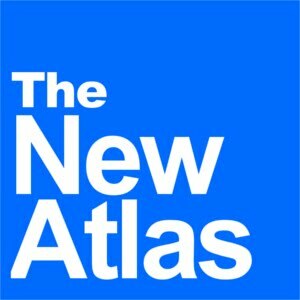 Despite attempts by the West to provide other explanations as to where Al Qaeda is receiving its funds, manpower, and arsenal to carry out global campaigns, it is clear that it is a product of state-sponsorship - states like the US, UK, France, Saudi Arabia, Israel, Qatar, Turkey, Jordan, and others. Indeed, Al Shabaab's attack in Kenya is abhorrent, unjustifiable terrorism - however, what Kenyans and the world as a whole must remember, is who armed them, who continuously props them up, provides them entire nations (Libya) as safe havens, and swells their ranks and armories with billions in cash and thousands of tons of weaponry at a time in war zones like Syria. Al Shabaab's continued existence, along with its counterparts AQIM across Northern Africa, LIFG in Libya, Boko Haram in Nigeria, and Al Nusra in Syria, is due entirely to both covert and overt Western military and financial backing. The blood of Kenya's innocent are on the hands of those within the Kenyan government willfully serving as a proxy for US aggression across Africa, and those across the West using Al Qaeda as a geopolitical tool to achieve their global objectives. Al Qaeda, for the West, serves as the ultimate geopolitical tool. It can be used as a pretext to invade, as well as a nearly inexhaustible mercenary army to carry out ruthless terrorist campaigns and even full-scale war as seen in Syria and Libya, to achieve Western objectives. Additionally, the omnipresent, nebulous nature of Al Qaeda serves as justification to strip away the rights and liberties of people at home, across Western civilization - perpetuating a climate of fear within which the seeds of very profitable war can be sown and continuously reaped. How profitable? A Harvard's Kennedy School research paper titled, "The Financial Legacy of Iraq and Afghanistan," places the total expenditures of the Afghanistan and Iraq wars alone somewhere between 4-6 trillion dollars. That isn't 4-6 trillion dollars that went into a black hole. That is 4-6 trillion dollars that went to the Fortune 500 corporations that engineered and sold these conflicts to the American public in the first place. 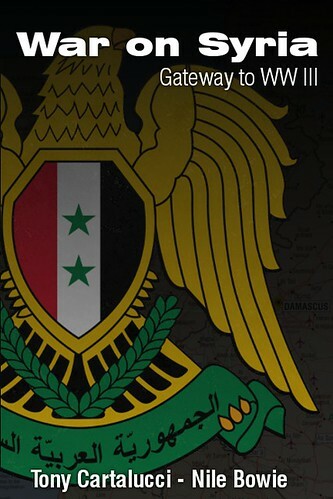 The fact that more people are discuss twerking than Syria is not necessarily bad news. They share, as Floating Sheep notes, “little in common apart from recent media attention”: One is a pop culture phenomenon (both more fun and more accessible to a wider swath of the population) and one is a tragic, complicated news event halfway around the world (critically important, but not very fun — particularly on a platform many use for recreation). Of course, even if you polled all 300 million Americans on their relative interest in twerking and Syria, twerking would probably win — and that’s okay, too. There are many justifiable reasons why an individual or a population wouldn’t care about foreign news — things like a lack of education and limited access to computers or newspapers. It is this " lack of education" that the Washington Post's editorial board and the special interests that steer it, claim is "okay too," that allows these special interests to continue to use Al Qaeda both as the ultimate villain and to swell the ranks of its inexhaustible global "freedom fighters." The Nairobi shopping mall attack is heartbreaking. The stories could so easily be American stories. For the real interests driving and solely benefiting from Al Qaeda's campaign of global terror, should they decide these stories need to be "American," they will be, unless we rectify the "lack of education" these special interests have carefully cultivated and reassuringly claim is "okay."